Let's' face it...life is busy -- especially during the last three months of the year! Between school activities, holiday prep, and socializing...time is a precious commodity! I’m always on the lookout for ways to maximize my time and ensure I serve a healthy and satisfying dinner. I recently received a handy appliance from my friends at Hamilton Beach that saves me time while I’m making healthy dishes. Hamilton Beach’s versatile 4-20 Cup Rice Cooker and Hot Cereal Maker can be used in a variety of ways to help save time and make your kitchen life easier! It’s definitely a foolproof way to make a perfect pot of rice – but this unit can also make other grains and cereals too. It also makes killer oatmeal in about 30 minutes, while you shower and get ready for work! Because this rice cooker comes with a handy steamer insert, this cooker lets you prepare an entire meal in about 30 minutes! Cook your rice in the pot, then add seasoned veggies and protein to the steam insert. When the rice is cooked, your veggies and protein are ready too! 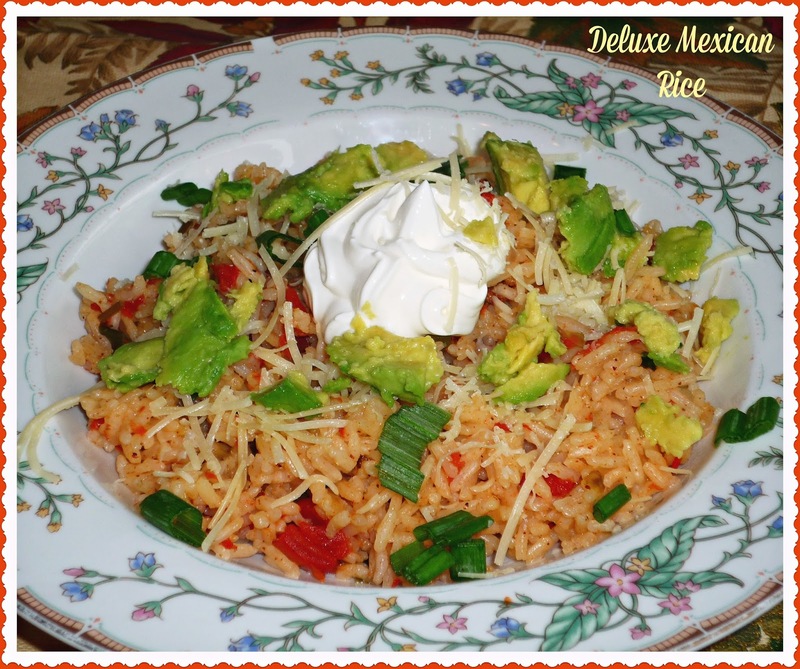 I used my Hamilton Beach rice cooker to make Deluxe Mexican Rice. 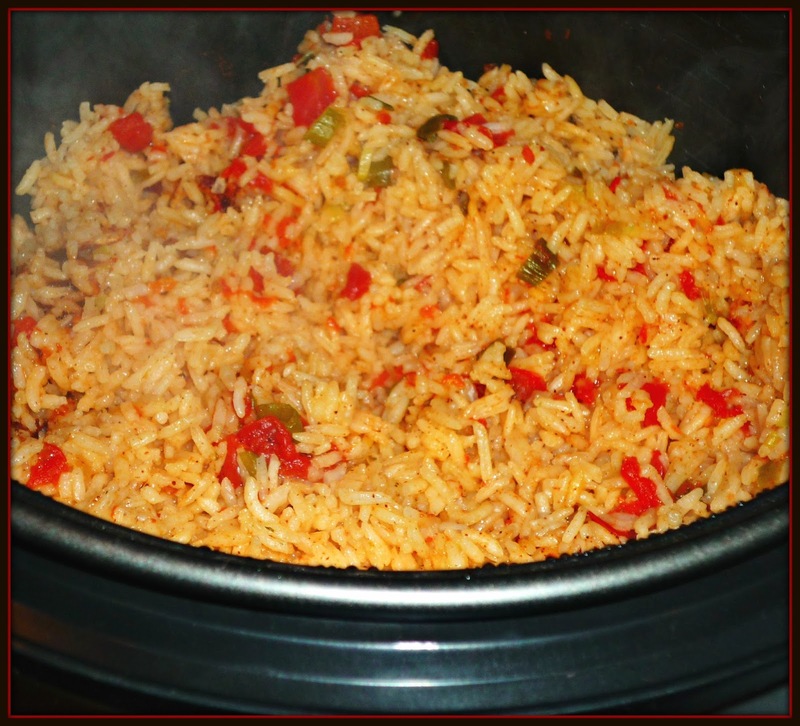 The rice is flavored with diced tomatoes and chiles, corn kernels, and other seasonings. It cooks up perfectly fluffy and is spooned into bowls. Everyone can customize their favorite toppings – I love to add sour cream, shredded cheese, green onion, and avocado for a veg-friendly dinner. If you want to have a more hearty meal, simply steam some seasoned chicken tenders while you cook the rice! For topping: shredded cheese, sour cream, green onions, avocado, diced tomato, etc. Step 1: Rinse the white rice and add it to the bottom of the Hamilton Beach rice cooker insert. Add the chicken broth, diced tomatoes and chiles, green onion, and chili powder. Stir to combine and cook on the Rice setting for 45 minutes. Step 2: When the rice cooker turns off, carefully open and use the paddle spoon to fluff the rice and ensure all of the ingredients are equally dispersed with the rice. To serve, spoon the rice into serving bowls. Sprinkle desired toppings on top of the rice. 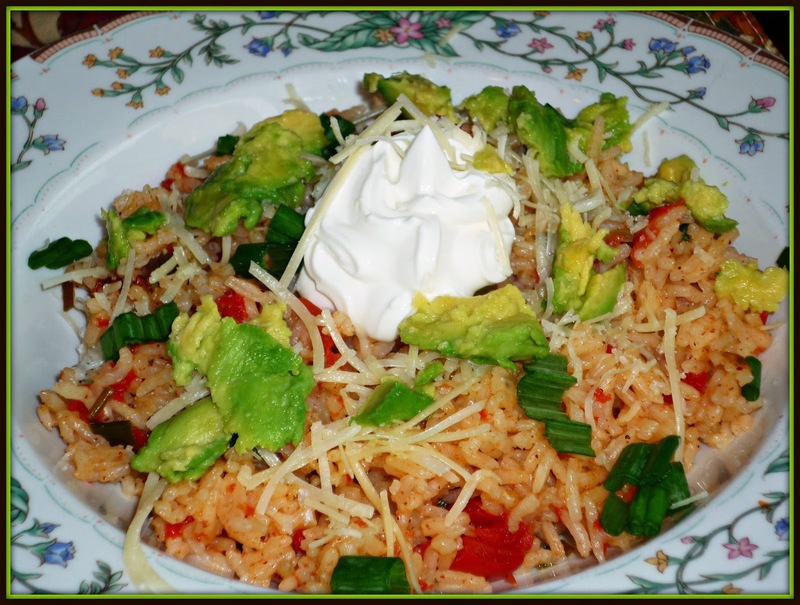 This Mexican rice is so good! 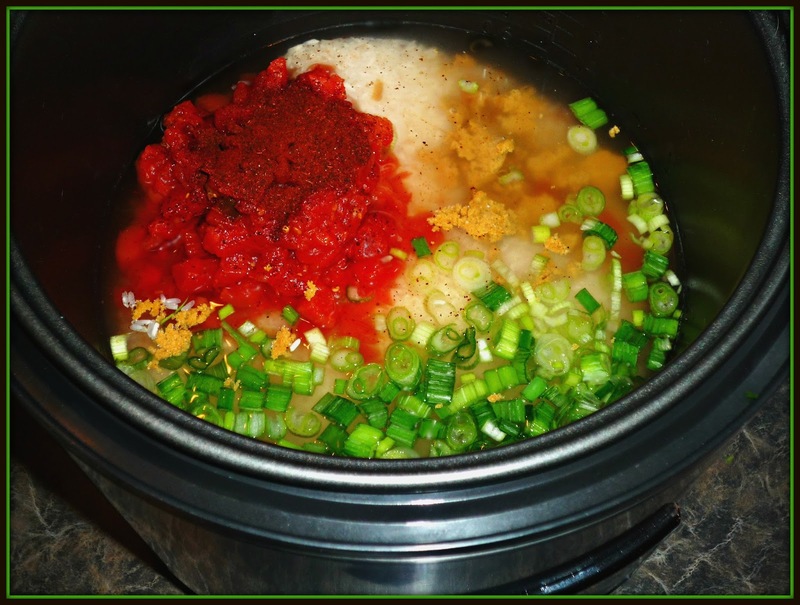 It’s chunky and mildly spicy...and the Hamilton Beach Rice Cooker ensures it's fluffy and perfectly cooked. 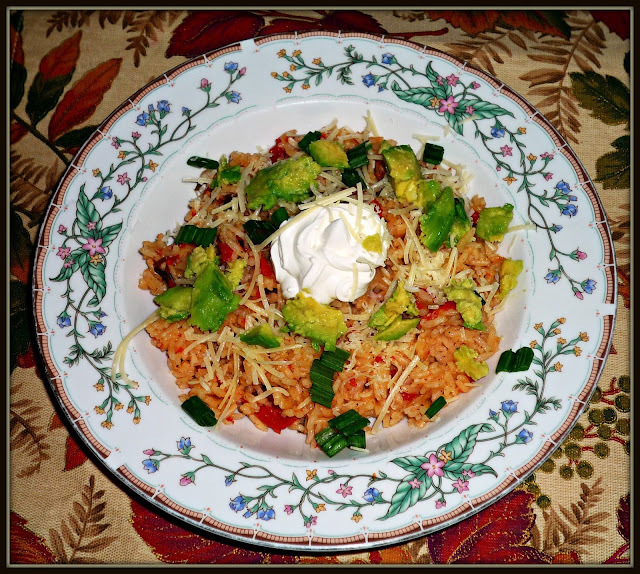 I love to make this rice for a quick and easy veg-friendly meal -- and any leftover rice reheats really well. Simply serve any leftover rice in a plastic airtight container in the fridge. I add a bit more chicken broth and reheat in the microwave for approximately 1 minute. Want to try one of these versatile cookers in your kitchen? It can easily be purchased via Amazon. 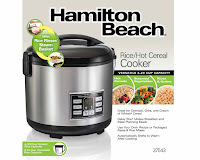 I’m also partnering with Hamilton Beach to give one lucky reader of The Weekend Gourmet one of these rice and cereal cookers to feed their hungry friends and family! To enter, simply follow the instructions in the Raffelcopter below. I’ll accept giveaway entries until 11:59 p.m. on Friday, October 7th. The winner will be notified via e-mail on Saturday, October 8th…good luck! Disclosure: I am a Hamilton Beach blog ambassador. 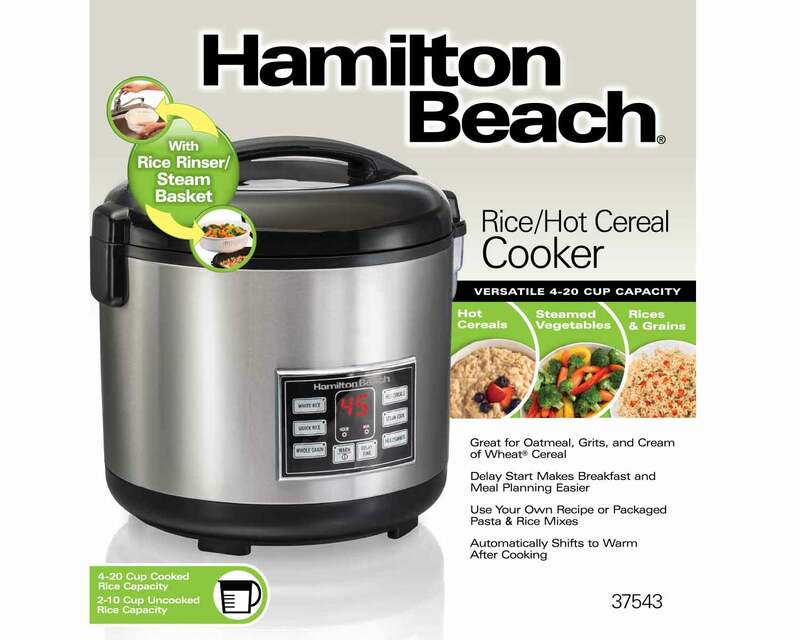 Hamilton Beach gave me a 4-Cup Rice and Cereal Cooker to facilitate this post. All opinions expressed are solely my own.